Healthy Fall Snacks for Teeth - Adelberg Montalvan Pediatric Dental PC & Orthodontics too! Are you excited for all things fall? In addition to the changing leaves, the new season also means plenty of new opportunities to snack on festive (healthy) treats. Here are a few of our favorite fall snacks that you can indulge in — without hurting your teeth! Apples! – There are few snacks that say “fall” more than apples! As an added bonus, make it a family trip and head out east to one of our awesome local farms. Roasted Pumpkin Seeds – After you carve your jack-o-lanterns this year, be sure to save the seeds! Pumpkin seeds are healthy for your teeth! They’re full of vitamins and mineral like phosphorus, calcium and vitamin D that help repair damaged cells and strengthen bones. Pumpkin Pie Pancakes – Don’t stop at pumpkin seeds — the whole pumpkin is full of healthy vitamins and minerals! Try your hand at the ultimate fall breakfast — pumpkin pie pancakes! Keep in mind that you have to use actual pumpkin in order to reap the benefits. Pumpkin flavorings and spices do not have the same health benefits. “Candy Corn” Fruit Cup – Instead of snacking on sugary candy corn, put together a candy corn themed fruit cup with orange, pineapple and yogurt! 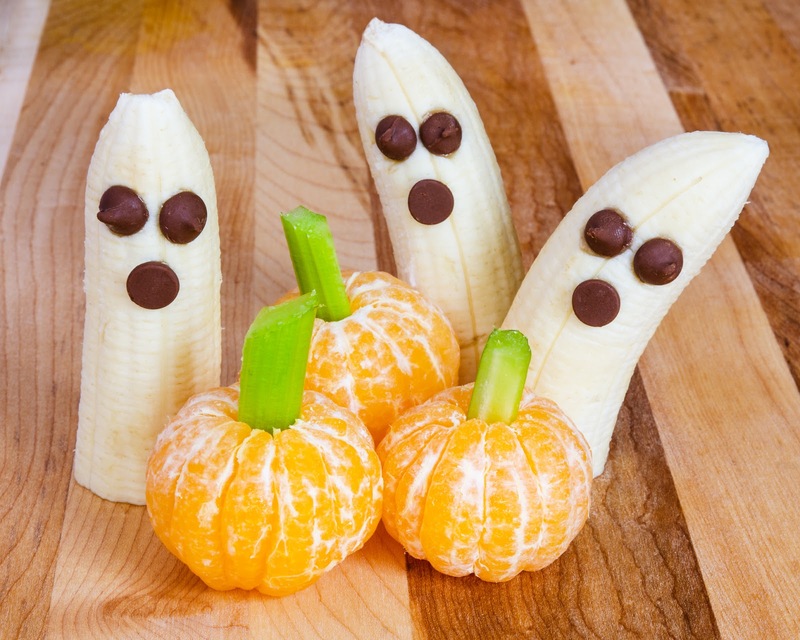 This festive Halloween snack is full of vitamins and minerals that keep your teeth strong. Ready to schedule a fall dental cleaning? Give on of our three Long Island offices a call — or visit our website to learn more about the pediatric dental services that we have to offer!